Rothamsted is the largest research agricultural center in the UK and the oldest agricultural research station in the world. Having a 160-year history, Rothamsted has gained an international reputation as an advanced center for scientific support for sustainable land management and its impact on the environment. 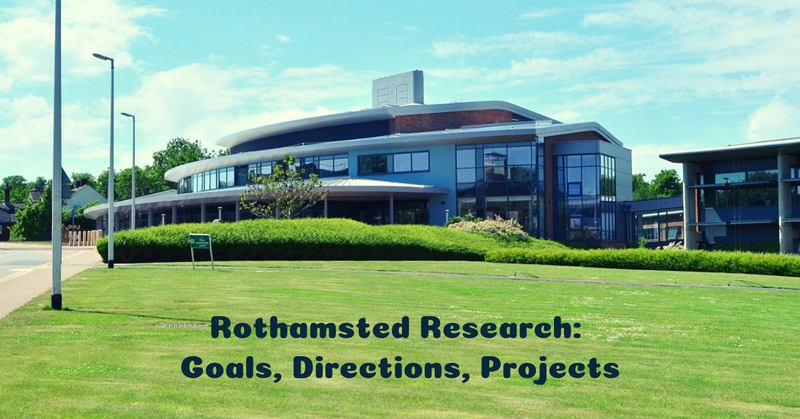 Rothamsted conducts a wide range of scientific research in the areas of genetics, biochemistry, cell biology, the study of soil processes at the ecosystem and landscape levels. development of electronic databases of the agrophysical state of soils based on the results of monitoring their physical, physicochemical and biophysical properties. In laboratory and field research, employees apply modern methods for measuring the hydrophysical functions of the soil, the physical and physicochemical properties of the soil, the physical and computer modelling of soil processes and remote optical sensing. research and modelling of hydrophysical functions in soils. The staff of the laboratory carry out comprehensive studies of the agrophysical state of the soil and the level of nitrogen nutrition of plants using remote optical methods. The main research area of the laboratory is the assessment and monitoring of the direct emission of nitrous oxide from agricultural soils after mineral, organic and green fertilizers, the use of various systems of mechanical processing and grazing of animals. improving the biophysical approach to assessing the sustainability and quality of agricultural soils. The laboratory has a modern set of equipment for measuring: direct emission of greenhouse gases from the soil surface and their concentrations in the genetic profile of the soil, temperature regime of the soil during the growing season, biophysical and biological properties of the soil.